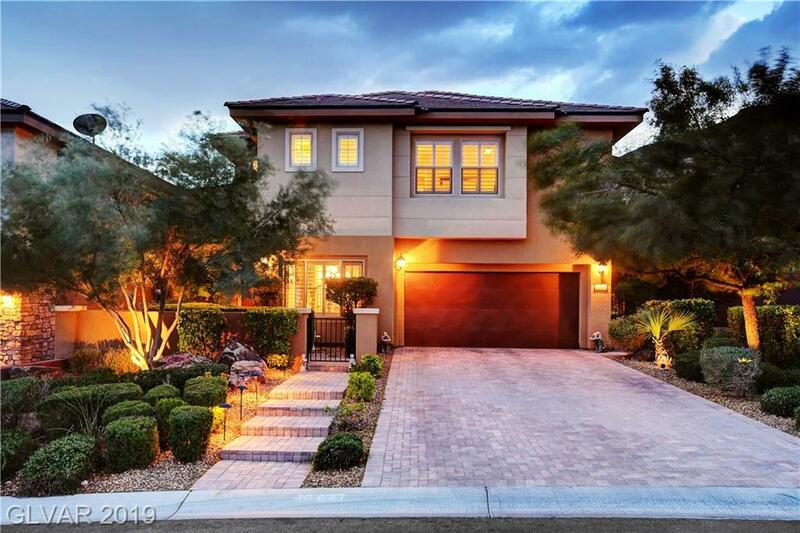 Extremely rare floorplan in The Mesa in Summerlin is finally on the market! This former model home has over $120,000 in upgrades. It sits directly across from Amado Park with gorgeous views. The builder spared no expense on the lush landscaping all around the property which the owners have meticulously maintained. Be sure to check out the custom California Closets throughout the bedrooms, pantry, and even the garage which is fully finished.